When transferring hot light flex over dark polyester, the color of the tee-shirt tends to migrate into vinyl. To counter this problem, Promattex International offers its new white PromaPrint PU SubliStop. This white printable PU flex stops the migration of sublimation on polyester garment and allows bright and shiny colours. The PromaPrint PU SubliStop is therefore suitable for marking on polyester and especially for sports jerseys. 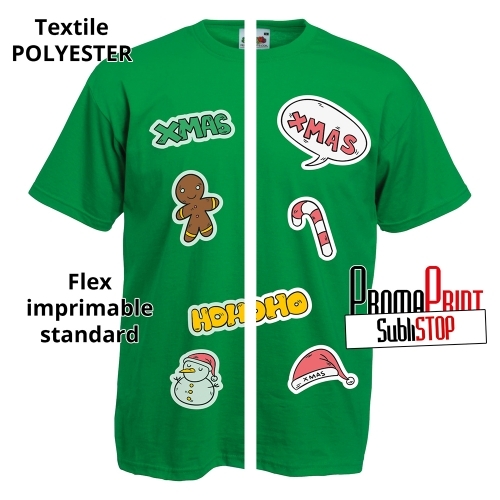 The PromaPrint PU SubliStop prints solvent and eco-solvent. It offers excellent print quality. Its thickness of 70 ~ 80 microns allows the tee-shirt to remain supple and pleasant to wear. It is packaged in rolls of 51 and 102 cm by 25 ML. There is also the cuttable version the PromaFlex SubliStop. * Print & Cut the material "Right reading"